After some delays, HMD Global is rolling out the stable Android 9 Pie release for the Nokia 7 Plus after a somewhat long beta period. That means you get all of the goodies, like a refreshed UI, further notification improvements, Digital Wellbeing, and all the rest that comes with the latest Android experience. 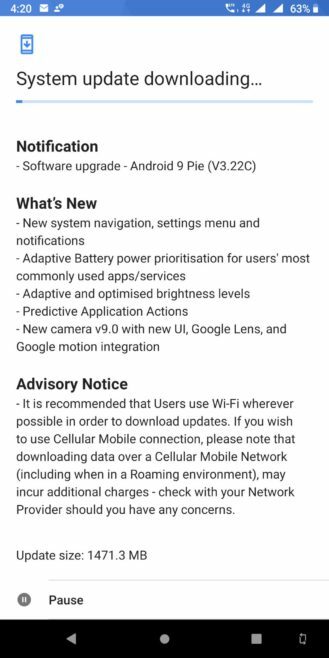 If you haven't been running the Pie beta, this will be a pretty big update for you. Among the changes, HMD is highlighting App Actions, Adaptive Battery, and Digital Wellbeing, though the latter is to be expected. In short, it's essentially the same experience as you would find on a Pixel. The update is rolling out starting today, so be ready for it. Exciting news, indeed!